A strong upper level trough and surface low pressure system will move from central Texas to eastern Arkansas Saturday afternoon through Sunday morning. 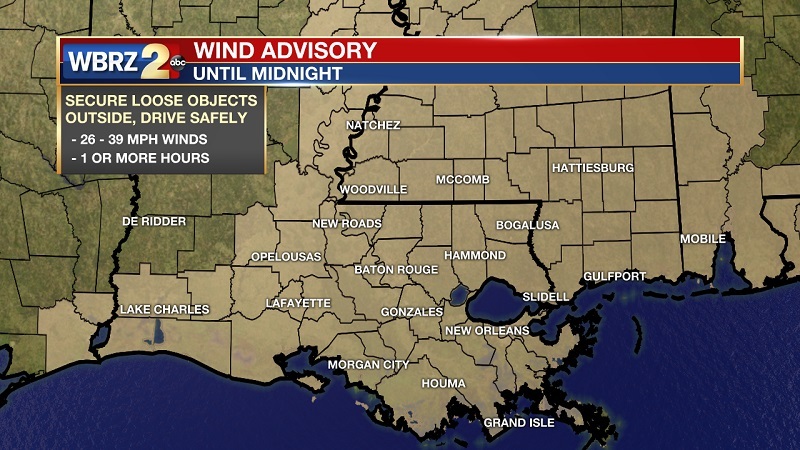 An accompanying cold front will race across the central Gulf Coast. 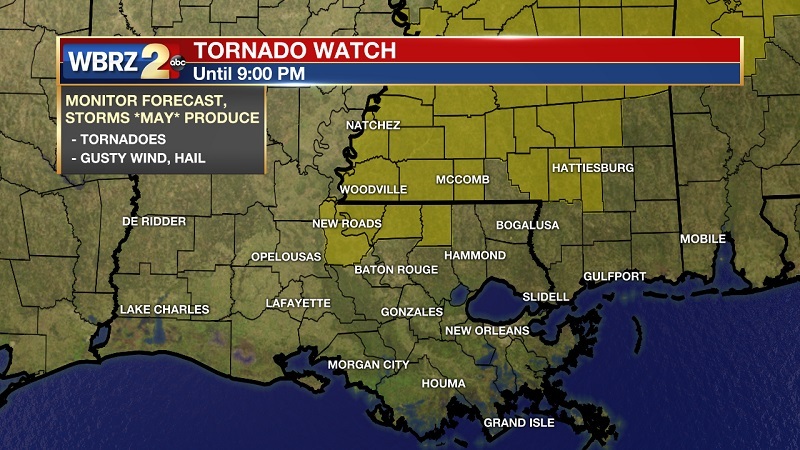 Warmth, humidity, instability and wind shear are all supportive of severe thunderstorms and these ingredients are in larger supply than they were last weekend when two tornadoes touched down in the 13 Parish, 3 County WBRZ Weather forecast area. We need to be prepared for this event as the potential for nasty storms is much higher than usual. Showers and thunderstorms will start firing during the late afternoon hours on Saturday and will quickly intensify into the evening hours. Initially, individual storm cells or clusters will develop before gelling into a squall line late. The Storm Prediction Center outlook has placed the northwest corner of the local forecast area in an unusual and significant 4/5, “moderate risk” for severe thunderstorms. This means that within the outlook area widespread severe thunderstorms are likely. Statistically, there is a 45 percent chance of experiencing a severe thunderstorm within 25 miles of any given point in that outlook area. The remainder of the area is in a 3/5 “enhanced risk” for severe weather where numerous severe thunderstorms are possible. Statistically, there is a 30 percent chance of experiencing a severe thunderstorm within 25 miles of any given point in that outlook area. 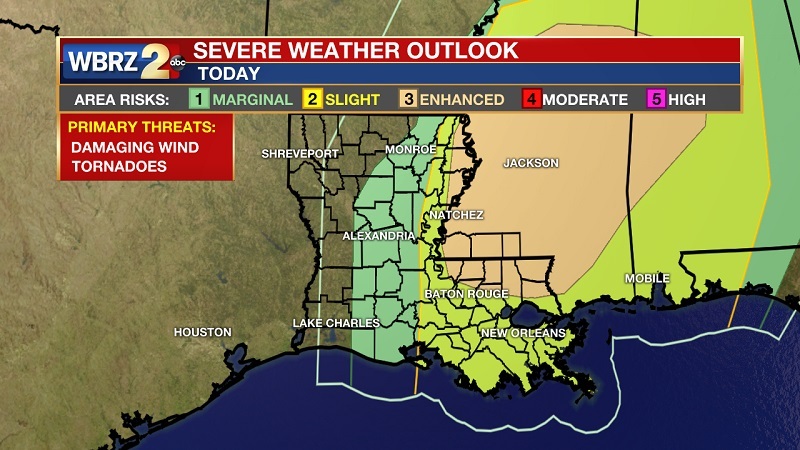 The main threats from any severe thunderstorms will be damaging wind gusts and tornadoes. The most likely timeframe for storms to turn severe will be late Saturday afternoon and evening. More specifically, we are targeting 4p Saturday to 1a Sunday for the worst weather. Heavy rain is not expected to be a major problem in this scenario since the storm system is a fast mover. Downpours may occur with storms, but total amounts should be manageable. The threat for strong storms will quickly end from west to east early Sunday morning, likely before dawn. Sunshine and cooler temperatures are anticipated for Sunday afternoon. 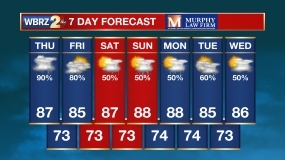 Quiet weather will persist through Tuesday. Don’t be scared, be prepared: Stay in touch with the forecast this weekend, know your severe weather plan and have a way to receive alerts. Never rely on an outdoor warning siren; if that is your main way of hearing warnings, you have little hope of hearing them indoors. 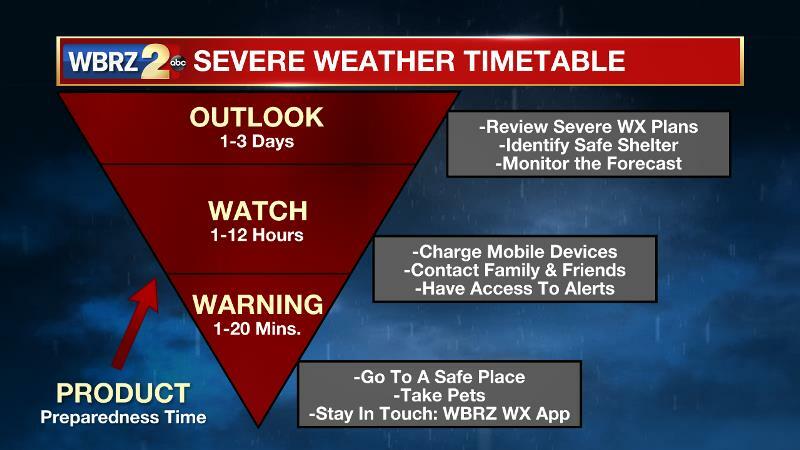 Have a NOAA Weather Radio in your home or business, and activate the free WBRZ WX App. on your Apple or Android device. Identify the safest place in your home. Often a small room, on the lowest floor, away from windows, near the center of the house is your best option. If you live in a mobile home, you should leave and go to a sturdy structure when a watch is issued, and remain there until the threat is over. 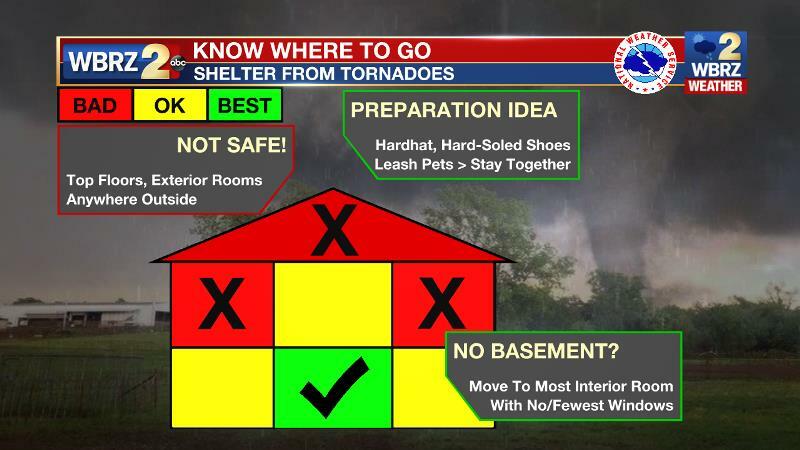 When a warning issued, put on hard-soled shoes, go to your safe shelter and cover your head until the threat passes. Also, leash up your pets and bring them along so you are not separated.